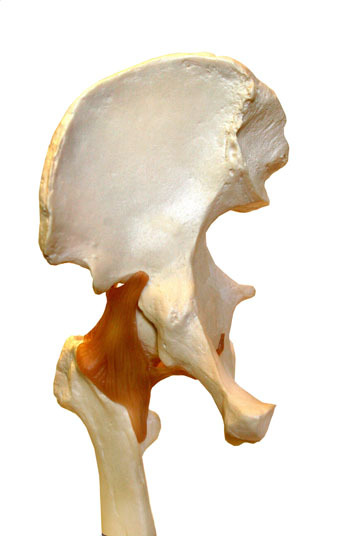 Hip fusion involves the permanent bonding of the thigh bone to the pelvis. This is achieved with screws that lock the hip in its place. 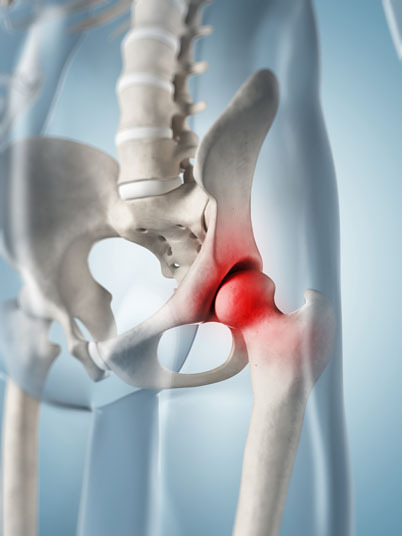 Hip fusion is utilized to treat conditions such as hip injury, hip pain, chronic sepsis and arthritis, osteoarthritis and rheumatoid arthritis of the hip. Non-surgical alternatives to hip fusion include pain medication, physical therapy, strength training and anti-inflammatory medications. Some patients find relief from losing weight or wearing a hip brace. A surgical alternative to hip fusion is total hip replacement. Hip fusion is performed under general anesthesia, which means that the patient is asleep and completely unaware during the procedure. Possible risks following hip fusion include bleeding, infection and a negative reaction to the anesthesia. In some cases, the bones fail to grow together, and some patients find that they experience reduced mobility following the procedure. The prognosis for a positive end result following hip fusion is excellent. In most cases, patients experience relief from joint pain.